A new handmade item for 2017 and already proving very popular. 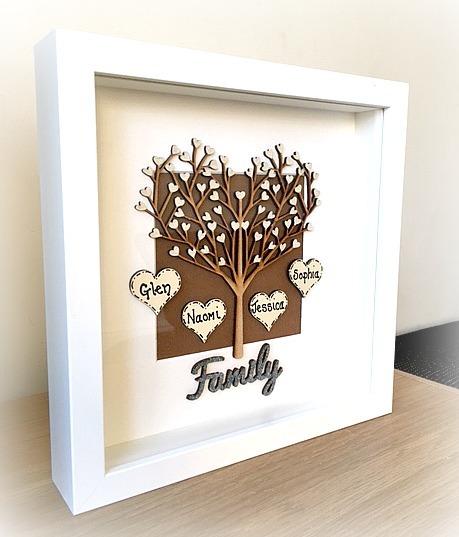 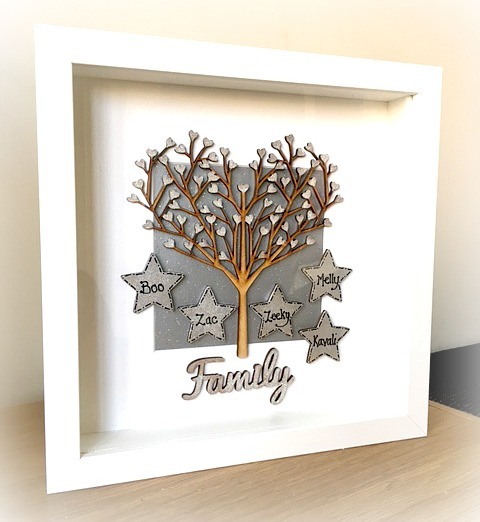 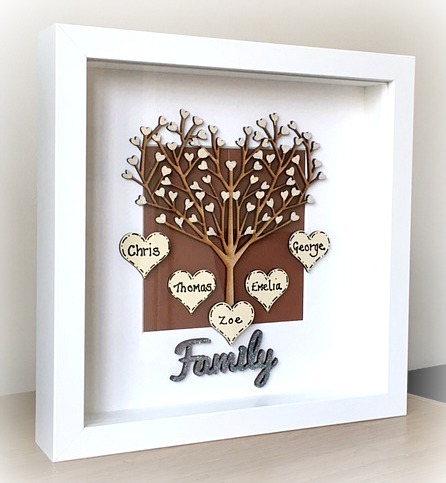 You can choose a colour scheme for the background behind the wooden tree which I will match to the ‘Family’ word. 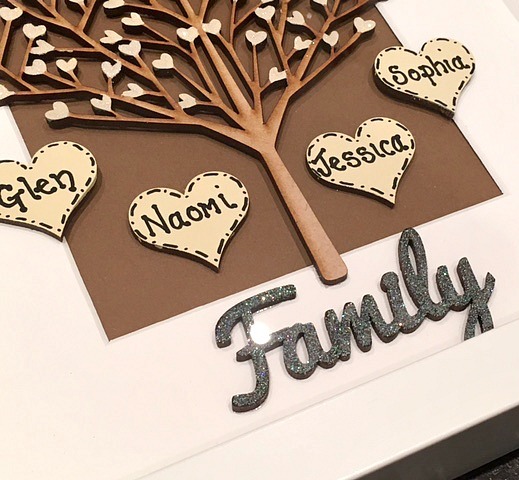 I will then paint the tiny hearts at the end of the branches and sprinkle with glitter. 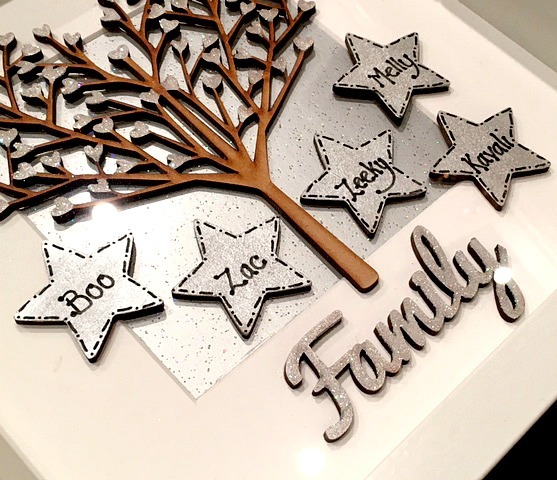 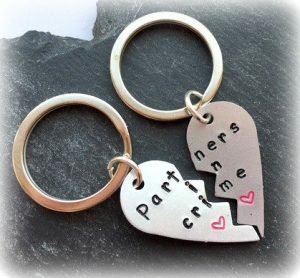 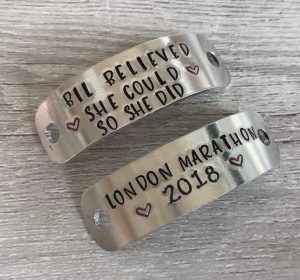 You can choose either hearts or stars with the names on and will be painted to match the colour scheme you have chosen. 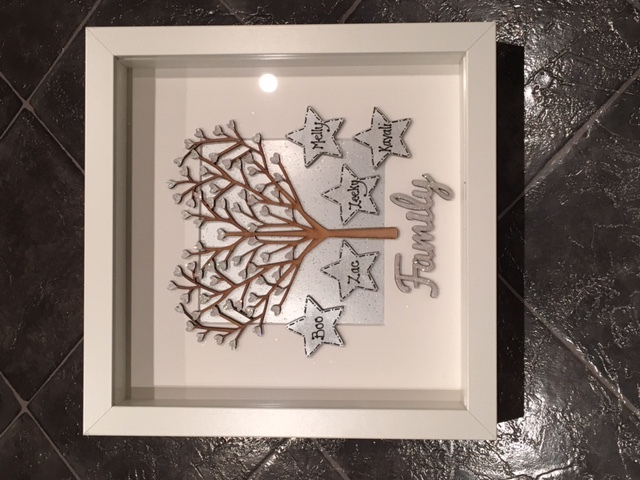 If you would like stars, please add a message at checkout otherwise your frame will come with hearts as standard. 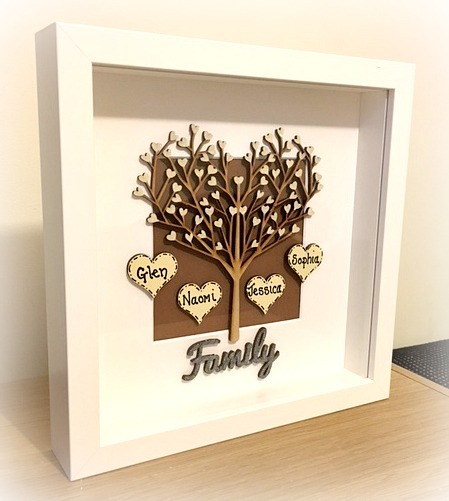 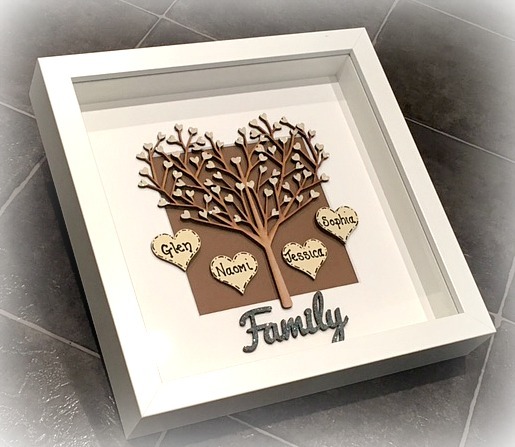 The tree is cut from MDF wood along with the ‘Family’ wording and the hearts. 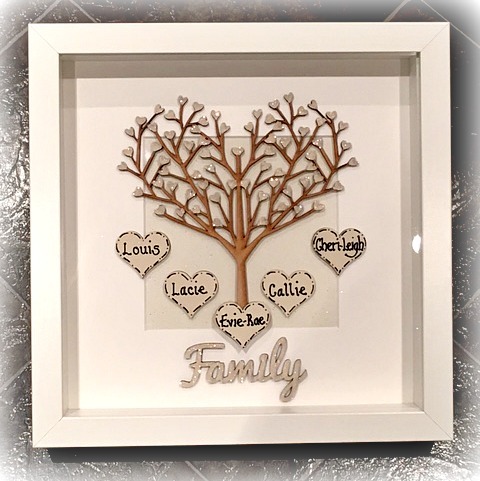 The frame is white with a glass front and measures 23cm x 23cm. 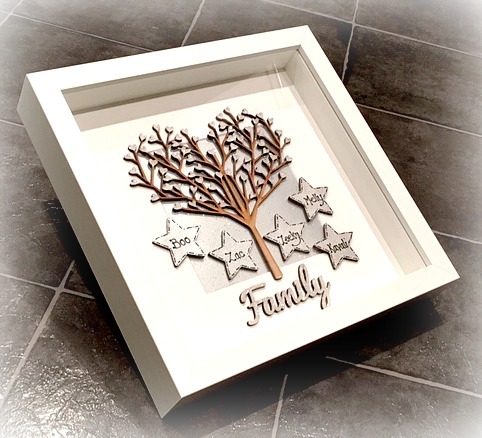 Please make your selection from the dropdown boxes and leave the names required at checkout or message me afterwards. 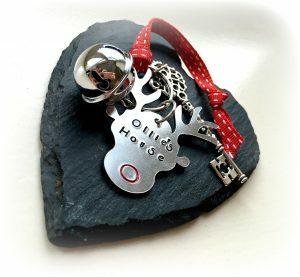 If you would like something different from what is listed please message me with your requirements.